The potential-density phase-shift is a useful tool for probing the structure and evolution of galaxies. The idea was developed by Dr. Xiaolei Zhang, currently affiliated with George Mason University, in a series of Astrophysical Journal papers published in the 1990s. Since 2005, Dr. Zhang and I have collaborated on applying her ideas to real galaxies. The papers at right are our most detailed applications so far. Click here to see a figure that summarizes some of our main findings from the two studies. This schematic (courtesy Dr. X. Zhang) shows the basic idea of the Zhang theory as applied to a spiral galaxy. 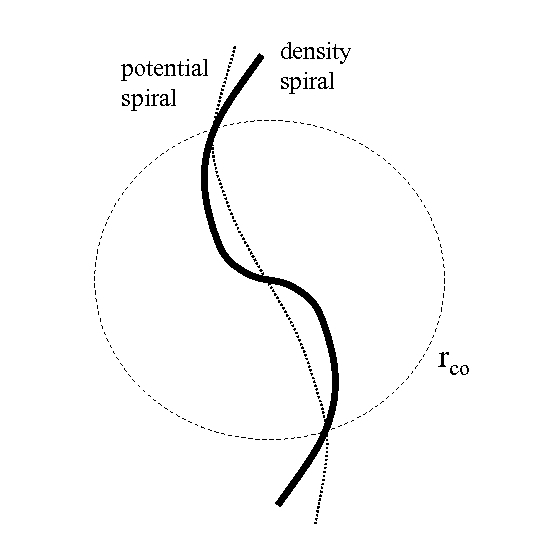 The density spiral leads the potential spiral inside the corotation resonance radius, rCo, and trails the potential spiral outside rCo. 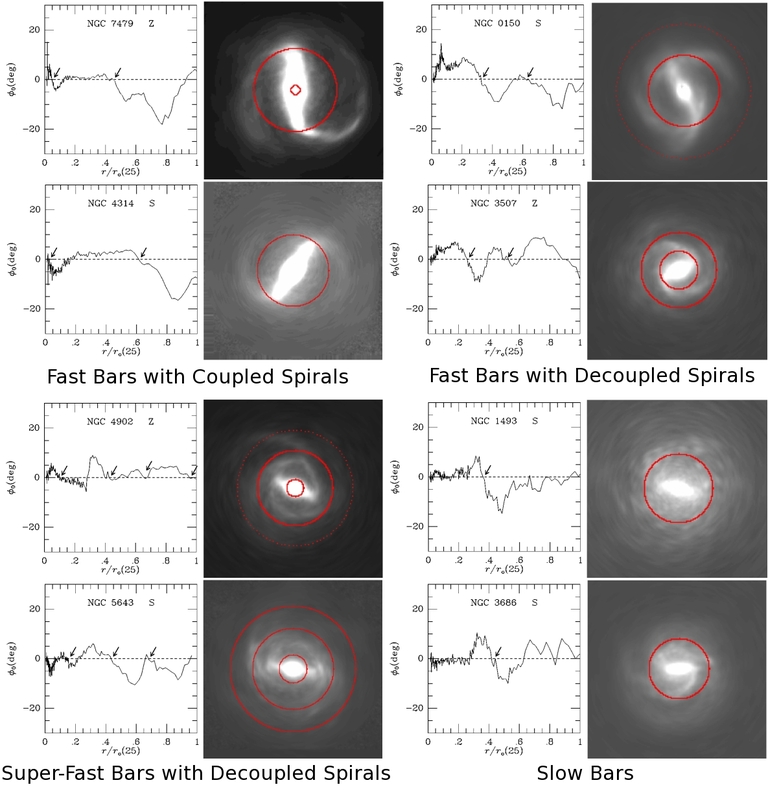 These phase differences cause a galaxywide torquing action that changes sign at corotation and can influence the evolution of the basic state of the galactic disk.